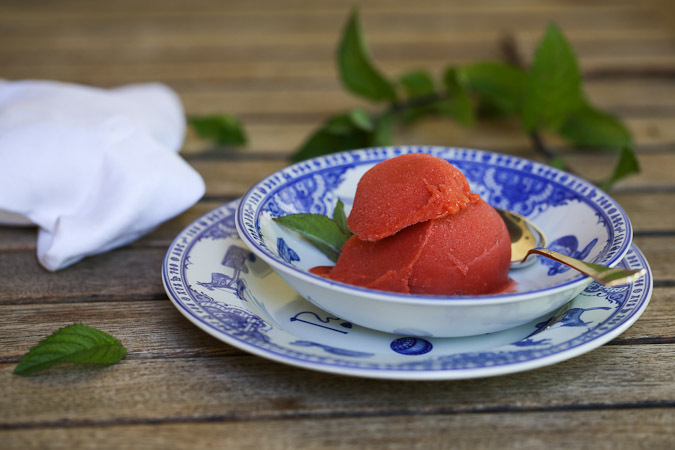 I just wanted to share with you another extraordinary recipe from The Perfect Scoop. 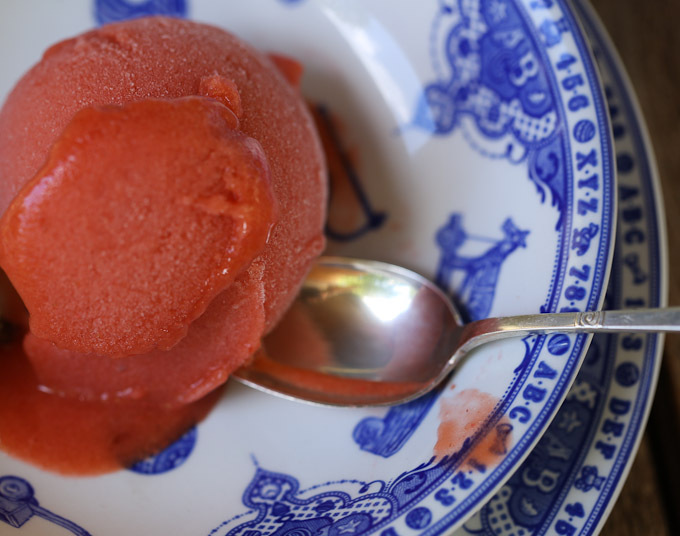 The first regional strawberries combine to a truly enticing sorbet with the last rhubarb from neighbour's garden! Wash the rhubarb stalks and trim the stem and leaf ends. Cut the rhubarb into 2cm pieces. Place the rhubarb, water (or wine), and sugar in a saucepan and bring to a boil. Reduce the heat, cover and simmer for 5 minutes , or until the rhubarb is tender and cooked through. Remove from the heat and let cool to room temperature. Slice the strawberries and purée them with a the cooked rhubarb mixture and lemon juice in a blender until smooth. 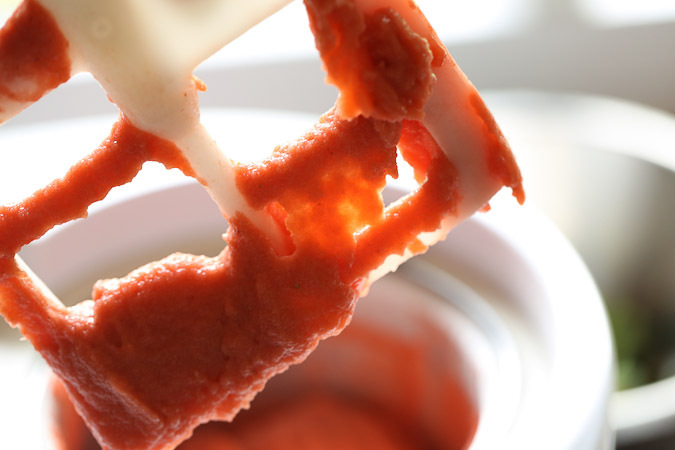 Chill the mixture thoroughly, then freeze it in your ice cream maker. Decorate with a mint leaf and enjoy!